This painting is part of a series titled (r)evolution made between 2014 and 2015. 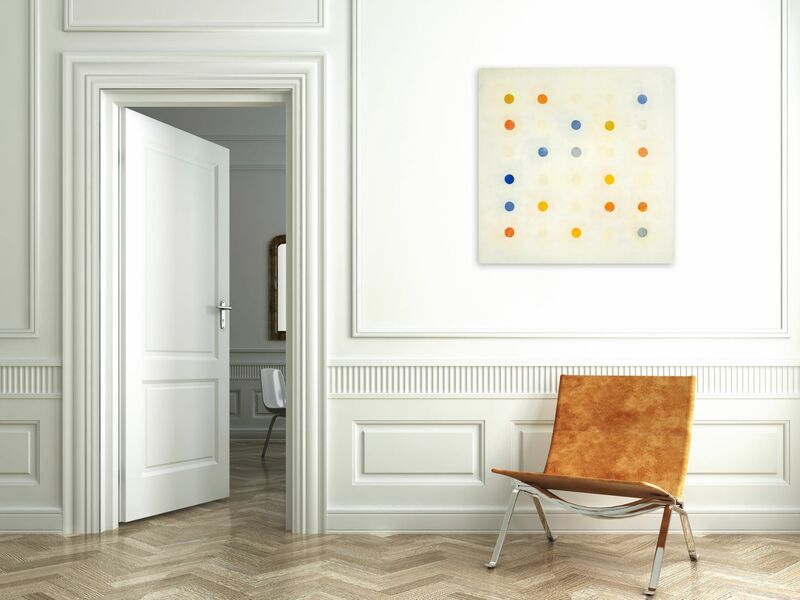 It is the second iteration of a series of “dot” paintings begun in 2006. This process-based series was inspired by Adams ongoing interest in music and music theory. It is about pattern, rhythm, and intervals of notes as exemplified by the choice and placement of color. Adams has been intrigued by math and serial systems since her days of graduate school at New England Conservatory (Boston, Massachusetts) when John Cage was composer in residence at Harvard University. 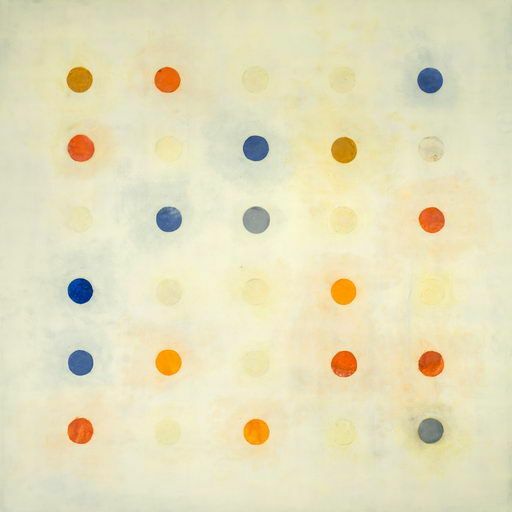 For this series, she has painted with many layers of encaustic and mounted hand cut circles of Japanese paper which have been dipped in encaustic. 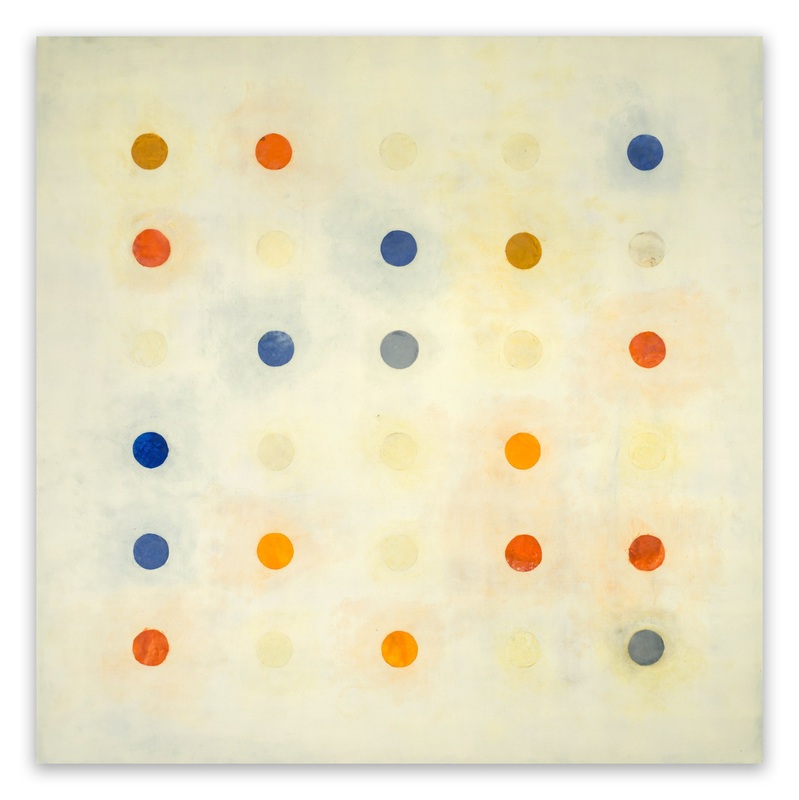 Finally, each dot/circle is covered with clear encaustic medium, then painted with oil to create spatial depth.